June | 2011 | Chuc Chimes In: Today's latest tips to make your minutes count! Be careful of Multitasking in Meetings. I was asked to deliver a report for a business group and, when I arrived, I noticed ALL the attendees were seated around a table –and each person had their laptop open. When I delivered my report, the people in the meeting kept typing on their laptops, rather than looking at pictures shown to illustrate points. This caused them to miss (and even question) key items. Does this ever happen in your meetings? If so, be very careful. Suppose you have 6 people in your meeting and you lose 20 minutes time because of distractions, misunderstandings, or confusion. Please now multiply 20 minutes times the 6 people and you’ll see that your group just lost 120 minutes (2 hours). Yipes! Let’s forget the meeting I attended, and let’s skip yours too. The article is well researched and it shows how memory is affected by the distraction of multitasking on laptops, etc. As we’ve discussed in this blog, you only get 24 hours a day and, if you don’t MASTER the time you get, TIME will master you. (And, sadly, many meetings today are major time wasters). 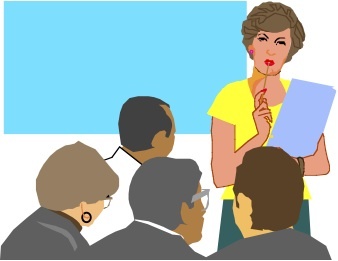 I’ll discuss the components of effective meetings in a future post if you’d like. Meanwhile, If you have questions or comments, please put them here. Setting up a day is lot like sailing. One of the things I loved about living in San Diego was that I could go sailing nearly every time I wanted. And sailing — wow! What a great recreational activity! Maybe you’ve done some sailing yourself. If so, I’m sure you’ll agree with what I’m going to say here. If you haven’t been sailing, here’s a point you’ll want to be aware of. Sailing is very low tech (I loved that, particularly in the midst of all the high tech items that tend to distract us these days) and sailing is so challenging and enjoyable that you can be out on the water for only a few hours and it seems as if you’ve been there much longer. And here’s another item for you to recognize about sailing. As a sailor, you always watch where the wind blows. You do this constantly so you can anticipate what the wind might do and then adjust your sails to use the power of the wind to keep you moving towards your destination. In other words, as a sailor, you know the wind is your friend (or your enemy). Now, please forget sailing for a moment and think about your day. Picture the people you know who start their day with a goal in mind and then tell you the pressures from interruptions, and distractions from email, phone calls, clutter, and drop in visitors keep them from reaching their goal. Some people even gripe, complain, and explain how they get held back because of these unanticipated forces. Look at your day as if you are going to go sailing. In other words, before you start your day, think about the wind (the probable forces that are apt to show up) so you are ready to adjust your sails. In essence, realize you’ll want to be set to make adjustments when you move through your day, so you can reach your destination, no matter what occurs. Realize that interruptions, schedule changes, and distractions are just like the wind in that they are inevitable. Some days they are more plentiful and difficult to deal with than on other days, yet you want to be ready for the biggest gusts of wind if you intend to reach your destination. This makes sense, doesn’t it? Now, please notice the word “intend” that I used in the above paragraph. That is a key word. If you “intend” to reach your destination, plan to make adjustments. That’s the joy of sailing — making adjustments that get you where you want to go — and that’s the reward of moving through the forces that otherwise might prevent you from having a successful day. Comments? Suggestions? Please put them here.